The Labrador Retriever " "
A Labrador Retriever is a devoted breed that is alert and lively. They are extremely playful and are eager to please their owner. Labs are extremely affectionate, lovable and patient. Their friendly temperament makes them sociable to everyone, while their intelligence makes them easy to train and ideal for sporting events and as show dogs. Labrador Retrievers are excellent companions and family pets. They love attention and if given the chance will travel with you everywhere you go. They love the outdoors and particularly enjoy swimming. They are happy when active, but are happiest when with their owner. Although you may think the origins of the Labrador Retriever stems from Labrador, in actuality, the development of the Labrador Retriever can be traced back to Newfoundland. The Labs prototype was originally recognized as the St. John’s Water Dog. These dogs were the result of breeding small water dogs with Newfoundlands. In the early 1800’s, Labrador Retrievers earned their popularity when the British royals celebrated them for their sporting qualities, and began to use them for hunting. It was during this time that Labs were first called “Labrador” by the Duke of Malmesbury. Labs were interbred with other types of Retrievers once heavy dog taxes arose in Newfoundland. Fortunately for the Labrador breed, the interbreeding didn’t cause them to suffer, and they managed to maintain their most desirable characteristics such as their intelligence, alertness and sociability. The breed of Labrador Retriever that we are familiar with today, can be traced as far back as 1878. They were recognized as the Labrador Retriever by the UK Kennel Club in 1903, and then by the American Kennel Club in 1917. The popularity of the Labrador Retriever never died out, and to this day, they remain one of the most beloved and sought after dog breeds. The Labrador Retriever is a fantastic breed that has an amiable reputation that speaks for itself. This devoted and friendly dog makes a wonderful household pet and companion that is suited to both city and country living. Their gentle disposition makes them patient and loving towards children, visitors and other family pets. The Labrador Retriever is an active, medium sized dog that grows to an average 22 ½ inches at the shoulders, and weighs between 55 – 75 pounds. They have plenty of energy and enjoy being put to work, making them one of the easier breeds to train. As part of the sporting group, Labs are natural born hunters, and have an impeccable sense of smell. They have been used for the purposes of hunting, police work, as seeing-eye dog and for rescue. Labs love to run, and play. As a result they need plenty of exercise (at least two 20 – 30 minute walks daily). Although there are many great aspects about Labradors, there are other important facts about them that you should know before you make the decision to get one. For instance, while Labrador Retrievers are easy to groom, they have short haired coats that shed. They are strong, and even in their puppy stage, can easily knock down small children. Furthermore, due to the fact that they are such a sociable breed, they make poor guard dogs. That being said, Labs have been known to protect their owners. Just don’t expect them to guard your home from intruders. Labs are far more liable to play with a robber than attack them. In addition, the life expectancy of Labs is 12-14 years, and you need to be ready to commit yourself to the care and well being of the dog for their entire life. When properly trained and provided sufficient exercise and attention, many dog owners will agree, you can’t ask for a better breed then the Labrador Retriever. 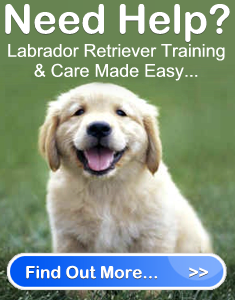 The Labrador Retriever	Overall rating:	4.8	out of 5 based on 64	reviews.